Save money by adding the Press - Relax Dryer™ to your processing plant. 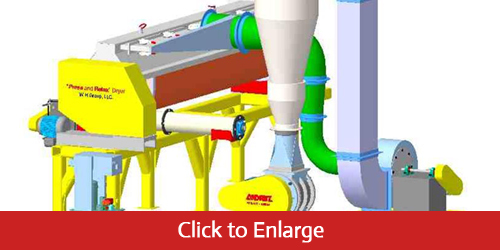 This state-of-the-art sludge dryer efficiently removes moisture from solid waste. It also sanitizes the sludge to meet the stringent EPA Part 503 requirements on pathogens. Most belt press equipment reduces moisture content in solid waste by 18-20%. 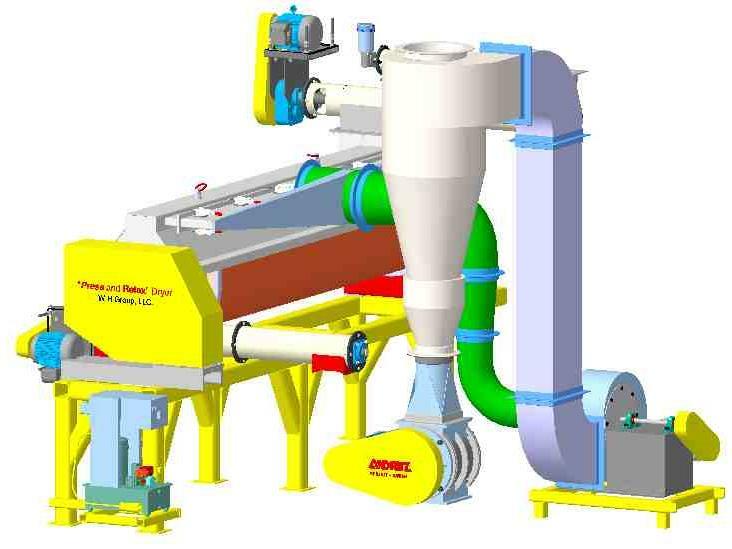 The Press - Relax Dryer™ uses a vibrating drive to fluidize and dry sludge, removing an additional 70-72% without the need for additives such as lime. The resulting sludge has 8-10% moisture content or less. The Press - Relax Dryer™ is designed to be safe and resilient. It creates little or no dust, which minimizes the risk of explosions or fires, and is made from stainless steel components, which prevent corrosion. The system is powered by hydraulics and features adjustable paddles for customizable results. Our equipment is made in the USA, and we offer installation at your location.